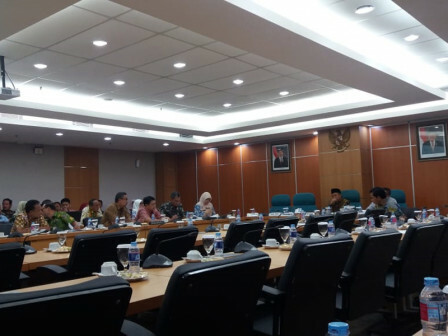 Today, Jakarta DPRD Commission B reviews further about Manpower and Transmigration Dept. (Disnakertrans)'s budget proposal in KUA-PPAS 2019.
" They should provide specific data regarding number of unemployed people thus employment needs can be identified"
Jakarta DPRD Commission B Chairman, Abdurrahman Suhaimi said, this budget review is more focused on Disnakertrans' programs which are proposed to reduce unemployment in Capital. "Its proposed programs are clear. But they should provide specific data regarding number of unemployed people thus employment needs can be identified," he mentioned, Thursday (11/1). He also asked others SKPDs to give more detailed budget proposals. "We need to keep several programs since it needs to be reviewed again. They can return to submit it when it has been updated with new data," he explained. Responding to that statement, Jakarta Disnakertrans Head, Andri Yansyah confirmed, his party will repair the proposals as recommended by council members. "All this time, we get data from resident's aspirations. We will recollect the data and propose it again," he said. For information, Jakarta Disnakertrans proposes Rp 299 billion budget in KUA-PPAS 2019.